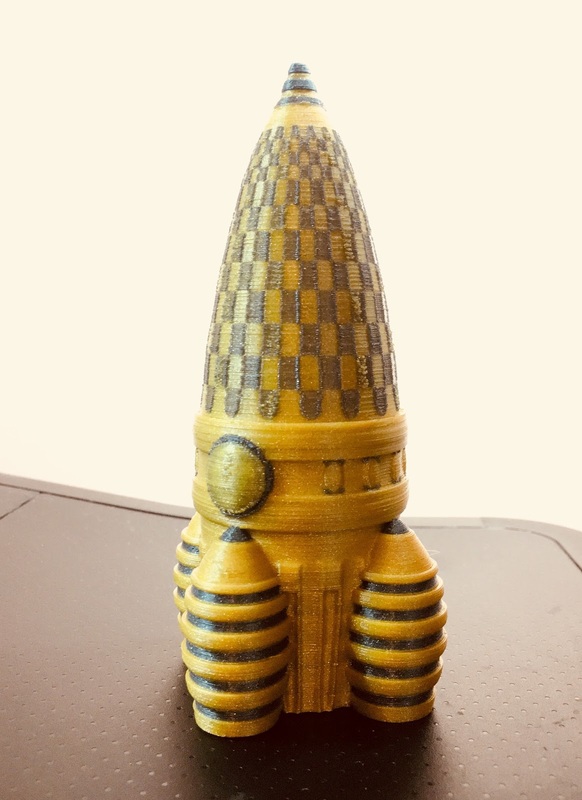 I saw this model on Thingiverse posted 2 weeks ago: Dual Extrusion Torture DX Rocket and thought "now there's a challenge, and it's a fantasy rocket too!" (note: I have a thing for fantasy rockets). Sliced with KISSlicer 1.6 with its awesome new Preload feature enabled. Not bad for the second print off this new machine. 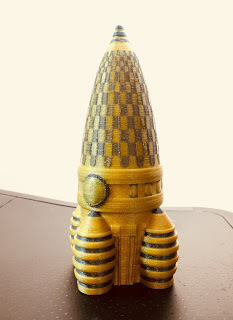 No Comment to " Cool Print: Dual Extrusion Rocket Torture Test "